One of the most fascinating areas to visit in the Land of Smiles is not where all the beautiful beaches and islands are that draw millions of tourists from all over the world to this country. No, for those who want to experience a little more than the usual touristic highlights, participating in Northern Thailand tours could be the greatest experience. In general the people in this region are more laid-back and relaxed than elsewhere. They also are even more genuinely welcoming to strangers and are happy when others show an interest in their culture. Chiang Mai is without a doubt the most popular destination in the north of Thailand. 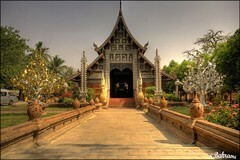 Most people visit the old town of Chiang Mai, where so many temples and other cultural attractions can be enjoyed. It’s a great place to try a traditional Thai massage, enjoy eating healthy food and simply take it easy. The best time to go is between December and February, and then again in April when the famous Songkran festival takes place. For those who enjoy adventurous northern Thailand tours, Chiang Rai might be a great choice. This region still is mostly visited by domestic tourists (people who live in other provinces of Thailand and come to travel here). The landscape is just beautiful and there are still many hilltribe people who you can visit who still live in their traditional ways. 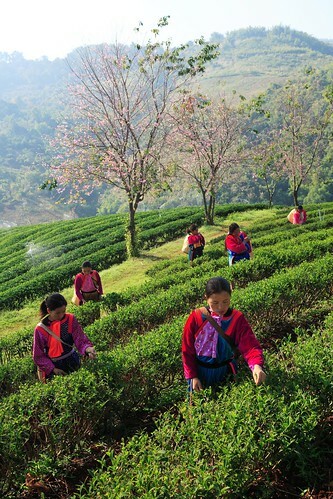 This is also an area where you can find plenty of tea plantations that you can visit. Since the altitude is ideal for growing tea (around 1300 meters) you can get some really good teas here. It’s mostly the descendants of Chinese immigrants who are taking care of these plantations, and you get plenty of Oolong and green teas. 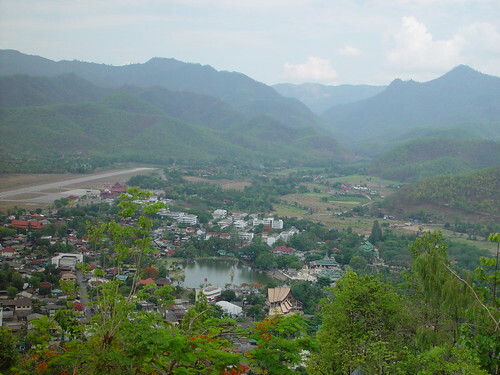 Mae Hong Son is probably the most popular choice for those who want to travel through northern Thailand independently. Rent a scooter or a car and explore the region. The small town of Pai is a little backpacker enclave located in Mae Hong Son province, and many young people come here to chill out for a while. During high season the feeling here can almost be a bit like on the famous Khao San road because there are so many tourists here, but outside the main walking street things get much more mellow. Which is great, because you can choose whether you want the busy walking street or the quiet and relaxed area around it. There are many things that you can do in northern Thailand, and if you want to make the most out of your time here, why not plan ahead and talk with someone who knows the region? Our personal tour guides in northern Thailand will be glad to help you plan your trips and custom-tailor a program according to your wishes and budget. Just contact us and let us know what you’re looking for and together we can work out a great itinerary for your trip into the uppermost regions of this beautiful country.